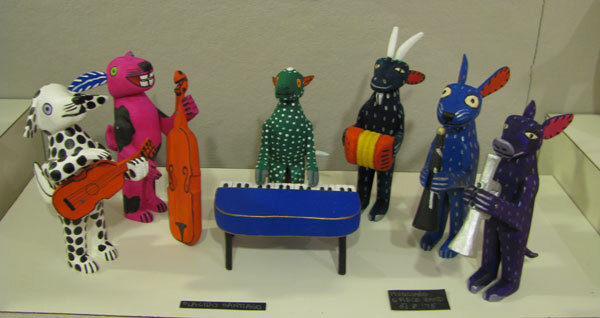 This exhibit features the work of families from three villages in the Oaxaca valley of southern Mexico . 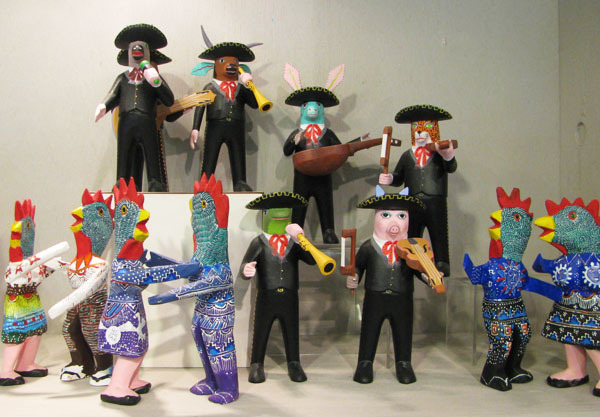 With woodcarving origins in the traditions of carved festival masks, Alibrijes are small sculptures with their origin in children's toys and talismans. 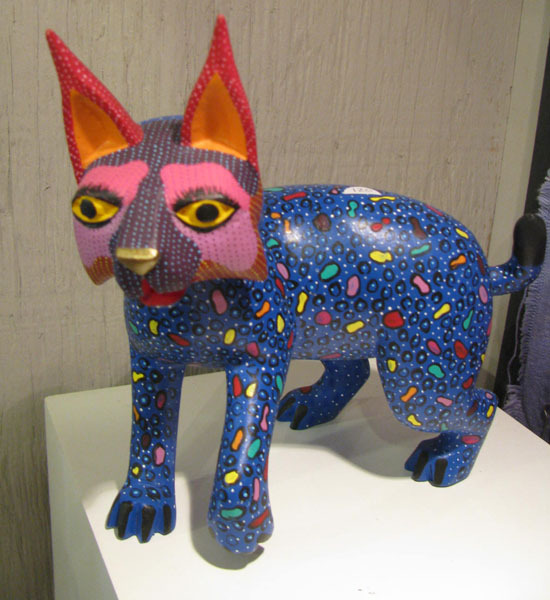 They are conceived as creatures from dreams, carved with machete and smaller knives from copal wood and intricately painted with enamels. This handcraft has for two generations supported and sustained the villages from which it has emerged, contributing to the viable home craft economy of the Oaxaca area. The pieces are produced by the extended family. Often the men carve and the women paint. 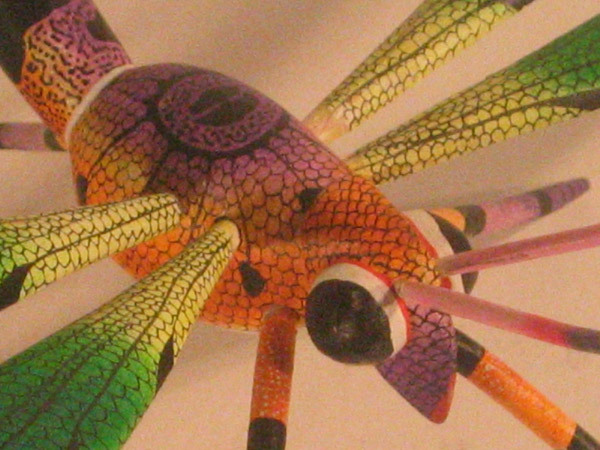 The making of Alebrijes has matured for some artists into an emerging one of a kind sculptural art form over its roughly 30 year lifespan, and through perseverance the artists have received acclaim as artists both in Mexico and abroad. Influenced by animation and intrigued by other art forms, younger artists of this generation contribute a pop aesthetic and a personal style to the mix.